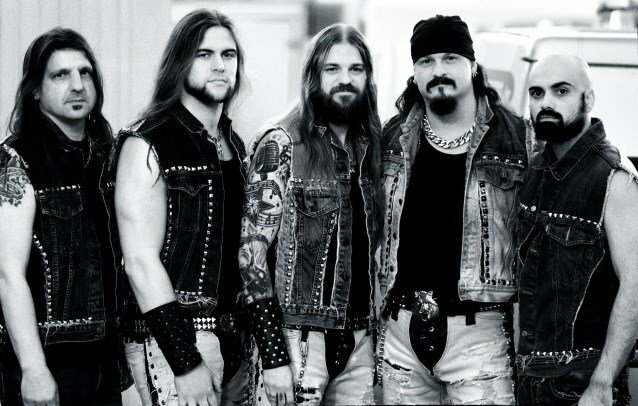 North American metallers ICED EARTH will release their new album, "Plagues Of Babylon", for a January 2014 via Century Media Records. The cover artwork was created and illustrated by Eliran Kantor (TESTAMENT, ATHEIST, SIGH, ANACRUSIS, GWAR). 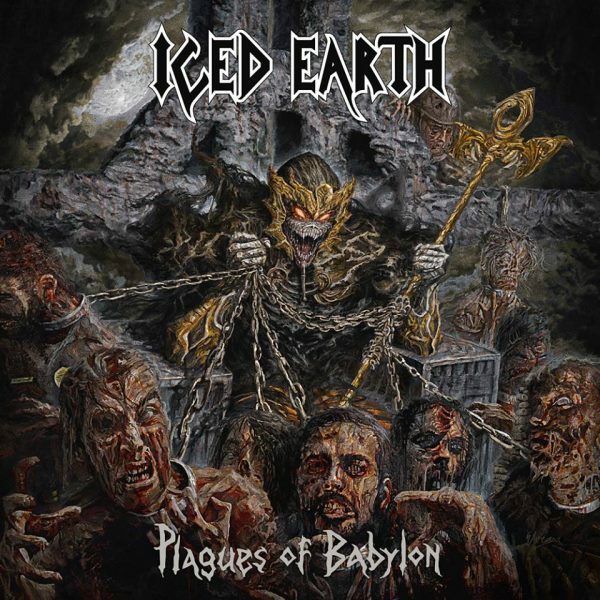 Says ICED EARTH vocalist/guitarist Jon Schaffer: "This is a seriously heavy album with a seriously brutal album cover. I'm sure it will go down as a classic in the epic ICED EARTH catalog." Speaking to Metal4 magazine at the Rockharz open-air festival in Germany in July, Schaffer said about the upcoming CD: "It's a bit of a different thing for us, because it's half of a concept and the other half is [standalone] tracks. Musically, I think it's just another step in the right direction. It's really heavy, it's very melodic. It has a really epic feeling. Even though there isn't, like, a monster, long epic track, the overall feel of the songs is very epic. I mean, there's no 'Dante's Inferno' or 'Gettysburg' or the 'Something Wicked' trilogy or something like that on here, but I'm really happy with it."